What Makes Tarot.com's I Ching Readings Truly Authentic? I Ching Readings: What Makes Ours Truly Authentic? Since I invented the category of divination software in 1989, many people have asked me, "Doesn't using a computer interfere with one's energetic connection to the I Ching? Isn't it better to use the traditional method of Chinese coins or yarrow stalks to derive a hexagram?" In these days of virtual reality and fake just about everything, "authenticity" is certainly a high value. In building Tarot.com, and authoring its free I Ching feature, I insisted that all of Tarot.com's divination features be programmed to be as authentic as possible, using the computer only to take care of the busy work (looking up results, recording, saving, etc.). 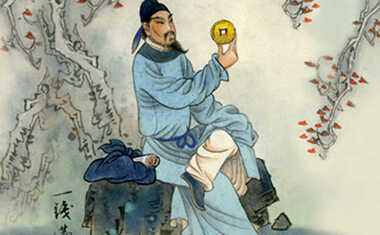 For the purposes of computer-assisted I Ching (or Tarot when it comes to the shuffling and picking of cards), making it authentic involved two primary factors: mathematical accuracy and your energetic connection to the process. Obviously, in applying programming to a divination ritual, it's critical that it be mathematically authentic ... and this is easy to do with a computer. The odds of the coins method or the yarrow stalk method (which are slightly but significantly different) involve simple math that is certainly not difficult for a computer. Nevertheless, we chose the most elegant solution (discussed below). The issue of energetic authenticity, however, was much more subtle and challenging. It is the solution to this problem that sets apart Tarot.com's I Ching features from those provided by other websites, because practically all programmers take the shortcut of using a random number generator to produce six lines (often all at once). In this case, in our view, the user is not the agent of the casting, because the computer did it for you. Where's the energetic connection in that? Our approach was that, of course, the computer can help ... it can help a lot, but it must not be allowed to do everything. To support you, the user, having a direct energetic connection, the computer should be programmed to perform certain duties while remaining transparent to the casting. 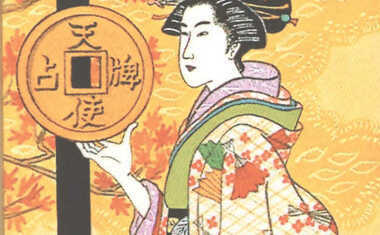 When it comes to the casting ritual, we wanted it to be a technology like an empty cup one might use to throw dice. If, for example, you shook and threw dice using a cup, you would not credit the cup for how the dice landed. In our view, the computer's function in the casting needed to be equally transparent -- facilitating the action but not controlling the results. 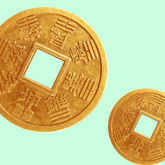 Most people manually consult the I Ching by tossing three coins six times. This is the easiest, but is it really the most authentic mathematically speaking? As stated, the older yarrow stalk method has slightly different mathematical odds. Using the yarrow stalks (preferably, according to legend, those plucked from the grave of Confucius! ), the person asking the question grabs a bunch of the stalks from the stack of 49 and sorts them in a prescribed way. Mathematically, it turns out that the yarrow stalk method allows for the same overall probability that there will be a changing line (25% probability), but a changing line is three times more likely to be an unbroken 'yang' line than a broken 'yin' line, whereas in the coins method the probabilities of one or the other are exactly equal. A famous numerologist speculated that the tilted odds of changing lines in the yarrow stalk method was due to the ancient sages' intuitive sense of the law of entropy, and the expectation that the more active yang element would be more likely to precipitate change than the more passive yin element. This is an interesting theory. In any case, we at Tarot.com went with programming that reproduces the odds of the yarrow stalk ritual, because we considered that to be more traditional and authentic than the new fangled coin tossing method. Once again, our I Ching feature on Tarot.com is the only one we know of that takes this approach. So, how is your energetic connection captured? Our I Ching program measures the timing of your taps or clicks (or shaking, if using a mobile device) in microseconds to determine which of the four kinds of lines make up each position of the hexagram. In this way, unlike other programs, our casting ritual directly taps your energy to determine how the lines form, according to the mathematics of the yarrow stalk method. The fact that it is only your timing that determines the lines you get makes the action of synchronicity all yours and not the computer's, so you can enjoy an authentic computer-assisted I Ching experience! Are you ready to see this authenticity in action? Focus on your concern and consult the I Ching for FREE now!